Handmade in the US for DapperLads. 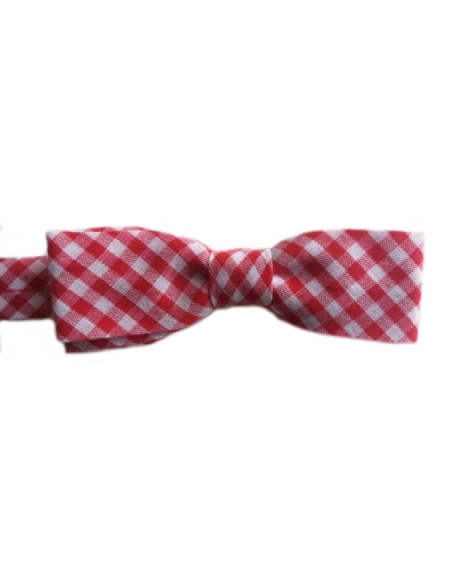 This toddler sized bow tie is handmade in a soft red gingham checked cotton. It reminds us of a picnic table check! Perfect for outdoors special occasions. The band is adjustable with a hook closure. One size which measures 3.5 inches long and 1 inch wide. Handmade in the US.